There’s a famous unattributed quote about bowed instruments such as cellos, violins and violas: “The left hand makes the notes, but the right hand makes the music.” This saying illustrates the importance of the bow in stringed instrument music making. 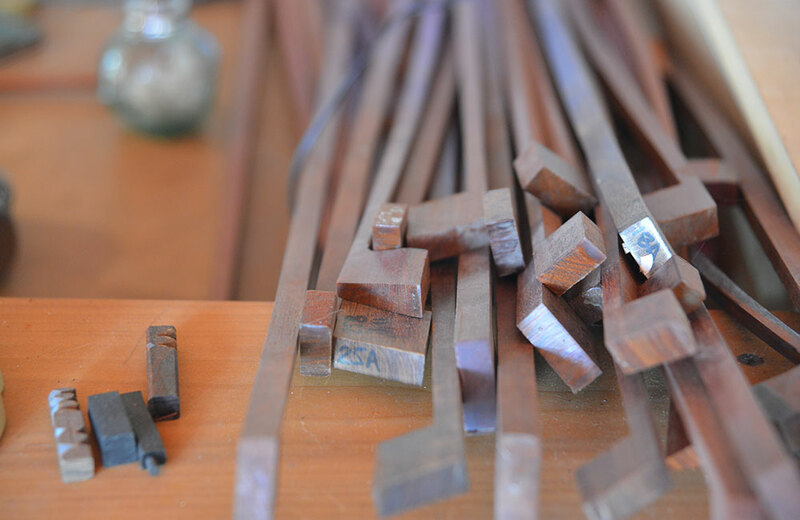 Made by bow makers – also called “archetiers” – handcrafted bows are complex in their construction and are often misunderstood and underestimated. Seemingly fragile, but surprisingly strong, bows are balanced and require technical knowhow and can last hundreds of years when properly cared for. Surprisingly, the development of the violin bow followed a path separate from the violin itself, and that just as violins had their Stradivari, Guarneri and Amati, bows have their famed and revered creators, most especially Francois Xavier Tourte, a Frenchman, and his protégés Peccatte, Eury, Maire, Lupot, Maline, Henry and Persois. First, one must acknowledge the relative size and simplicity of the violinist’s bow, compared to the violin itself, suggests it’s has a lesser role in the creation of stringed instrument music. But a study of the physical function and history of bows tells us something else. Prior to Tourte (1747-1835), bows were shorter and lighter (made of less wood and a lighter nut). They were not known for their maker; either they were simply of anonymous origin or attributed to the luthier or an unnamed worker in the violinmaker’s shop. Tourte changed that around 1785, a period when Beethoven, Hayden, and Mozart were actively composing their best-known work. He was the son of a luthier (Nicolas Pierre Tourte), but initially apprenticed as a watchmaker. Shifting to bowmaking in collaboration with violin virtuoso G. B. Viotti, he improvised upon the supporting instrument. It was heavier, longer (74-75 centimeters, with usable hair length of approximately 65 cm), and made of pernambuco wood, also known as Brazilwood. Tourte determined that the balance point on the bow should be 19 centimeters from the frog. Heating and bending the wood created the curve, whereas predecessors’ bows were carved to the shape. The bowmaker also gave it a heavier nut, with a screw and the spreader block, which hold and create the desired hair tension. The modern bow courtesy of Tourte is credited for changing the timbre of the violin’s sound, broadening the expression and articulation available to violinists. Tourte seems to have been less interested in fame and legacy, as only a few of his bows were signed. Even though he is now and was in his lifetime widely regarded for his innovations, his bows were nonetheless often referred to “the Viotti bow,” ceding greater credit to his collaborating virtuoso. Today an authenticated Tourte bow can be valued at $100,000 or more. Isaac Stern had one, as did Heifetz, Kreisler, and Milstein, among many others. While there has been recent public discussion and inquiry into whether the older Italian instruments sound better than modern-made instruments, it is widely accepted that older French bows are far superior to modern bows. 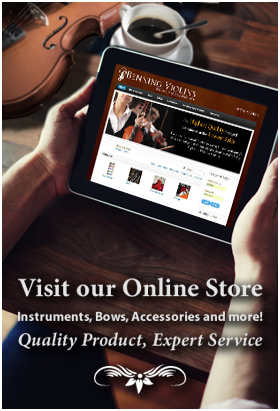 Fine violin bows – as well as fine cello bows and viola bows – are in constant demand by both collectors and players.